Created through the combination of two lakefront parcels, the residence at 1617 Cedar Point Drive on Delavan Lake's North Shore, is an example of an estate created for the purpose of escaping the weekly rat race. Lush landscape surrounds the property with a combination of French and English Gardens and a tranquil waterfall flowing through the center. It is as though the order of the French plantings, with their rigid rows and attempt to control nature, meld into the relaxed flower beds of the English coverings symbolizing the transition from a rigid work week to a relaxing lake weekend. Okay, that was a little thick. Anyway, this place is magnificent. 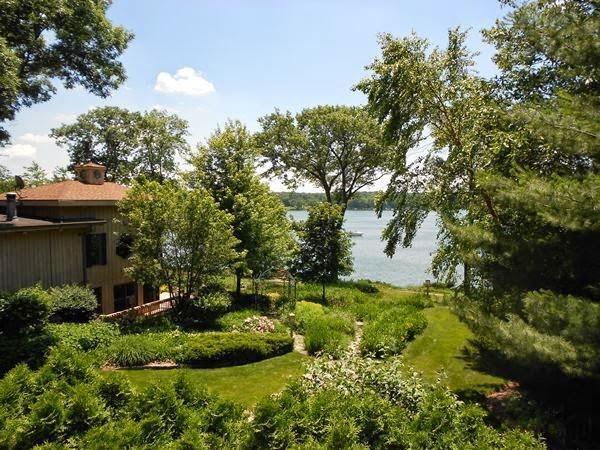 Five bedrooms in the main house with an enclosed sun porch soaking up panoramic views of Delavan Lake, and a single bedroom apartment above the second garage that includes its own deck and kitchen facilities. Take a tour through the main elements with the help of our video links below. The home is offered for $1,599,000 and includes 132 feet of frontage, ample living space and two four-car garages. 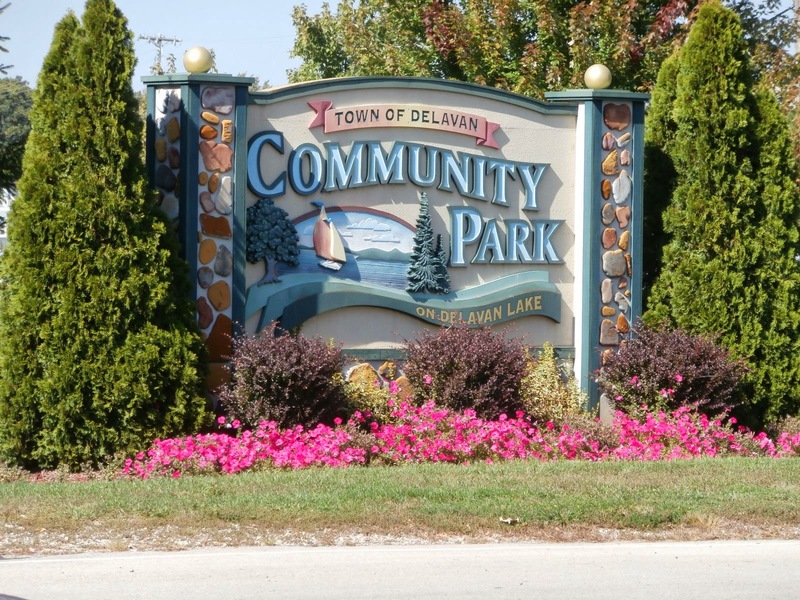 The Town of Delavan is holding their annual LakeFest event on June 7 and 8, 2014 at the Community Park on South Shore Drive of Delavan Lake. 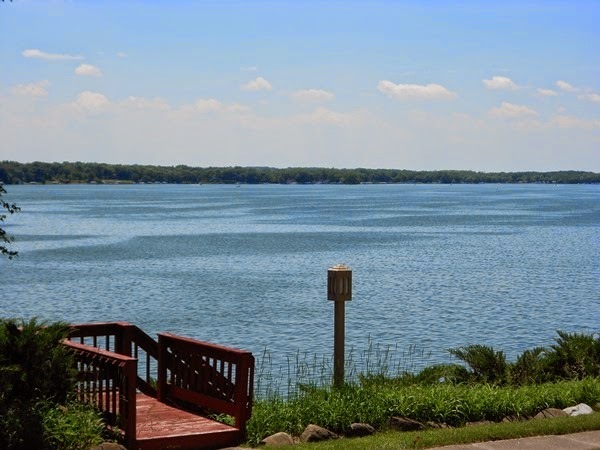 One of the largest lakefront estates available on Delavan Lake has lowered the list price for the property by $25,000. Carved into a wooded North Shore backdrop, with 221 feet of prime frontage, this classic walkout ranch is ready for an owner that wants privacy and functionality. The home is part of what was once an expansive family estate that included pastures, outbuildings and Frank Lloyd Wright architecture. The parcel was subdivided into a number of smaller family plots with one at the waters edge offering spectacular views of South Shore. The house itself features four large bedrooms on the first level, with two facing the lake and two containing private bathrooms. The master suite has direct access to a wrap around deck that also leads into the great room and dining room. In the great room is a natural fireplace, two walls of windows. The formal dining room is just off the kitchen which is accessed from the covered porch on the street side of the property. A classic retro wet bar is the main feature of the lower level, with its arching curves and rattan stools. There is a second natural fireplace, walkout sliding doors to the lake and plenty of space for guests. The lower level also includes a dark room, library, work room and half bath. The level could easily be converted to create a fifth bedroom, recreation room or theater room. Listed now for only $1,300,000, the parcel is one of the most affordable from a frontage foot perspective and has the potential to be returned to the grandeur of yesteryear with a little creativity and craftsmanship.